Two Yan triple, Tumbleweed and Sundance, combine to form an alternate base-to-summit route to the Grand Summit and Bluebird Express lifts. The top terminal is a fixed drive model. Late model Yan tower with unique sheaves. Combo assemblies on tower 14. Side view of the tri-leg bottom terminal. View up from the bottom station. 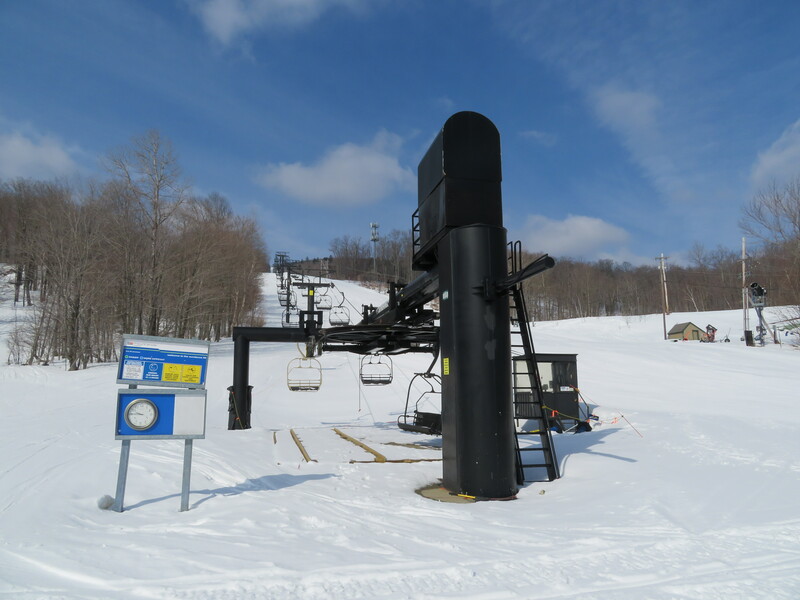 Since the installation of the Bluebird Express, this lift rarely runs. 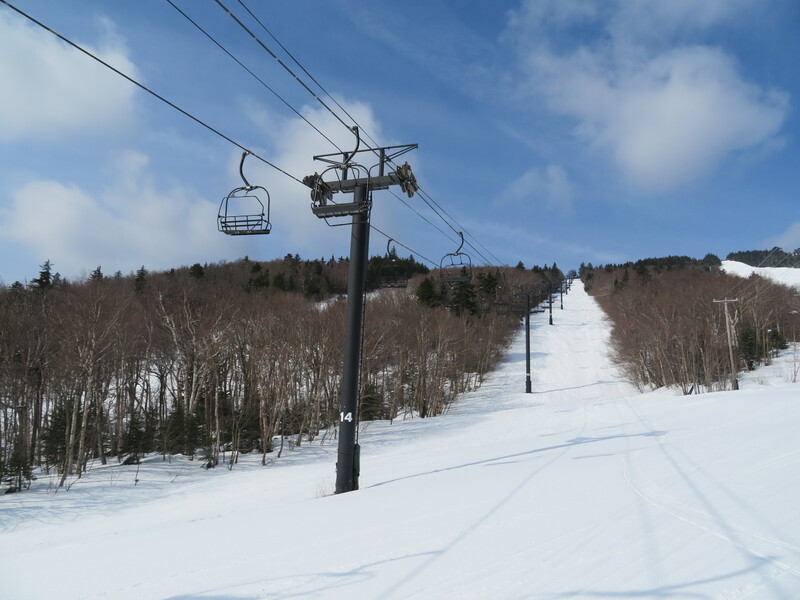 It is difficult to find from main trails, so not many people ride it when it is open. 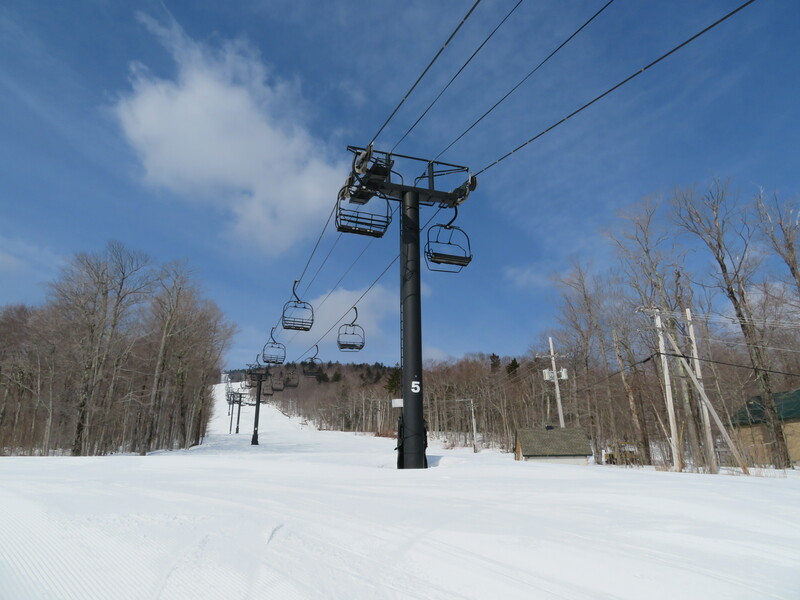 It also doesn’t serve many trails, and most of the ones it does serve have no snowmaking. As is the case with Ego Alley, I would not be surprised if this lift were removed without replacement. i’d rather see tumbleweed and sundance be replaced with a single high speed quad with a midstation where sundance begins. They actually had that at one point, but a fixed grip with no mid station and it didn’t work out all that well. 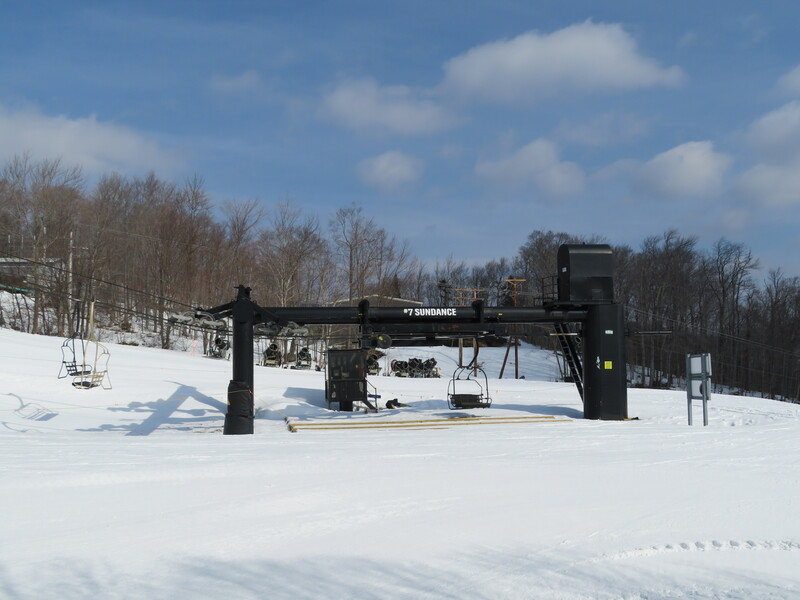 The Sundance Triple is the original lift installed in 1984 and it ran all the way from Sundance Base to where it ends now. 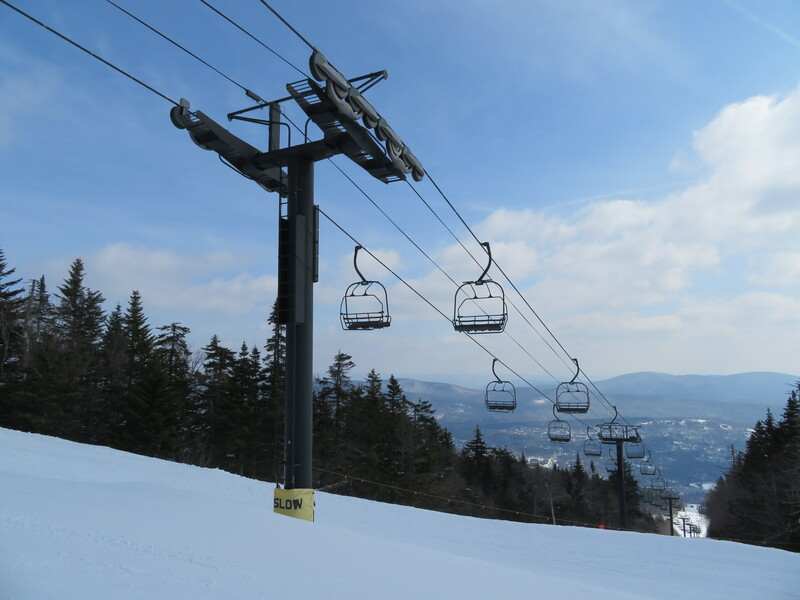 The lift was over 7000 feet long and no one wanted to ride it, so they didn’t use Sundance Base. 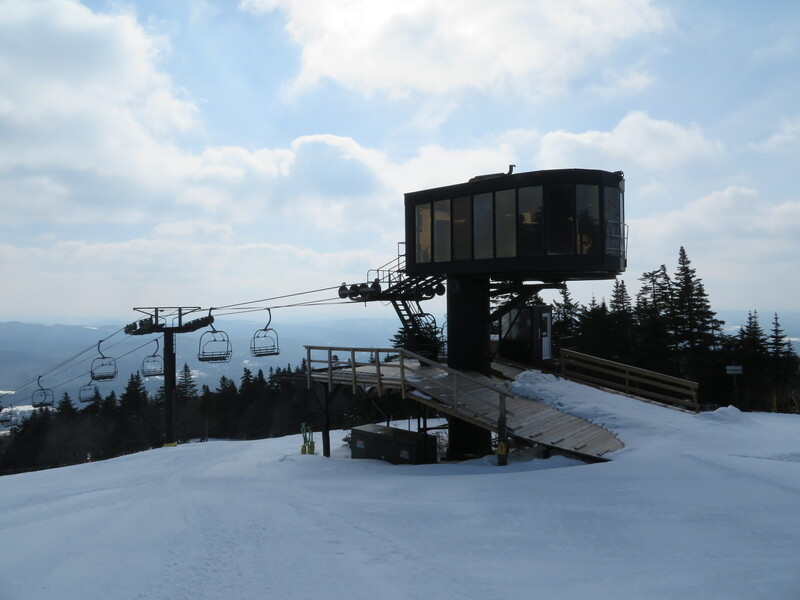 In 1997, the Beaver Slope Triple had to be removed to make way for Les Otten’s Grand Summit Hotel. He decided to shorten the Sundance Triple to what it is now, and lengthen and reinstall the Beaver Triple as what is now the Tumbleweed Triple. If you look at those pictures you’ll notice that some towers have lifting frames and others don’t. The ones without lifting frames came from the Beaver Slope Triple and the ones with came from the Sundance Triple. 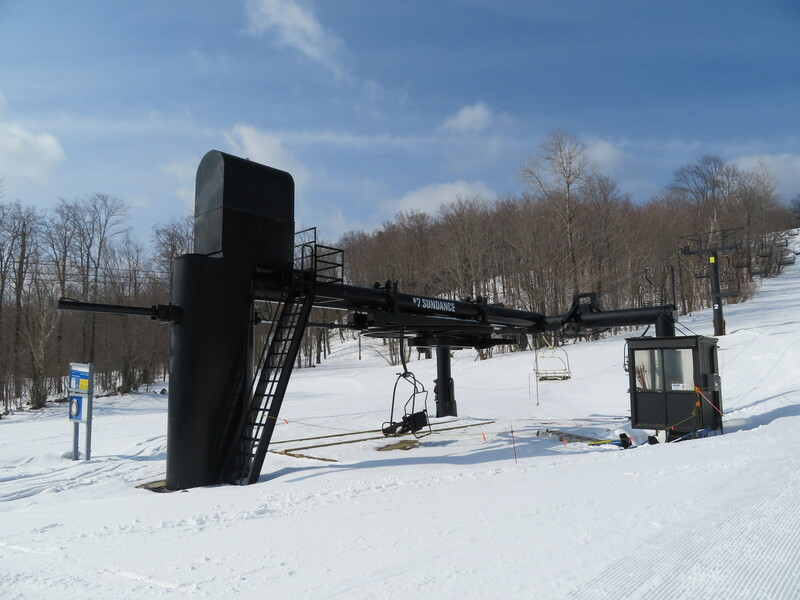 Used 70’s style sheaves were put on the lifting frame towers to match the ones from the Beaver Slope Triple. 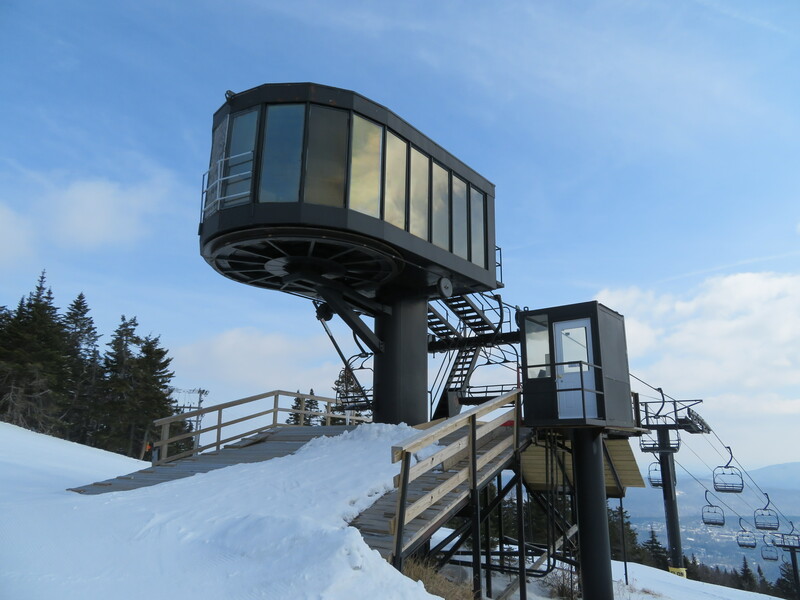 The current arrangement provides a more convenient out of base lift from the top of which one can access either the main base or Carinthia. 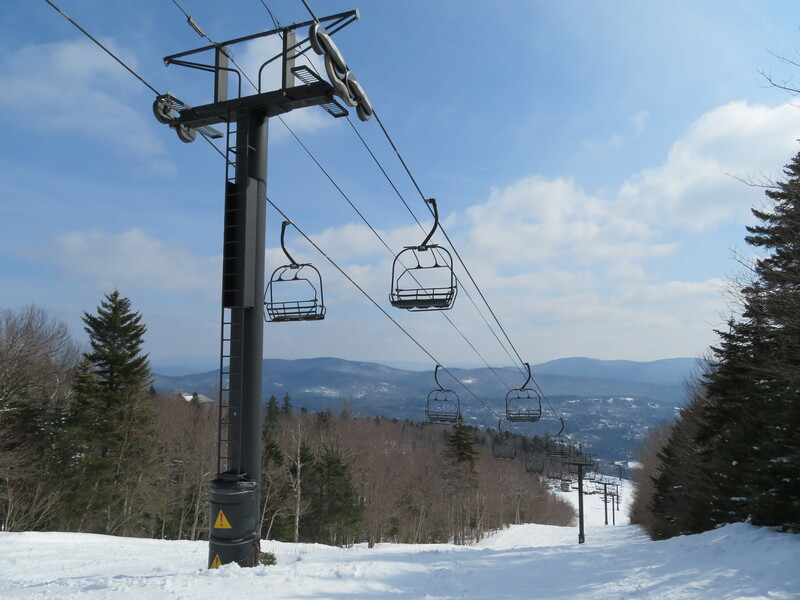 The current Sundance Triple rarely runs now, but was used much more when they still had the Summit Local. 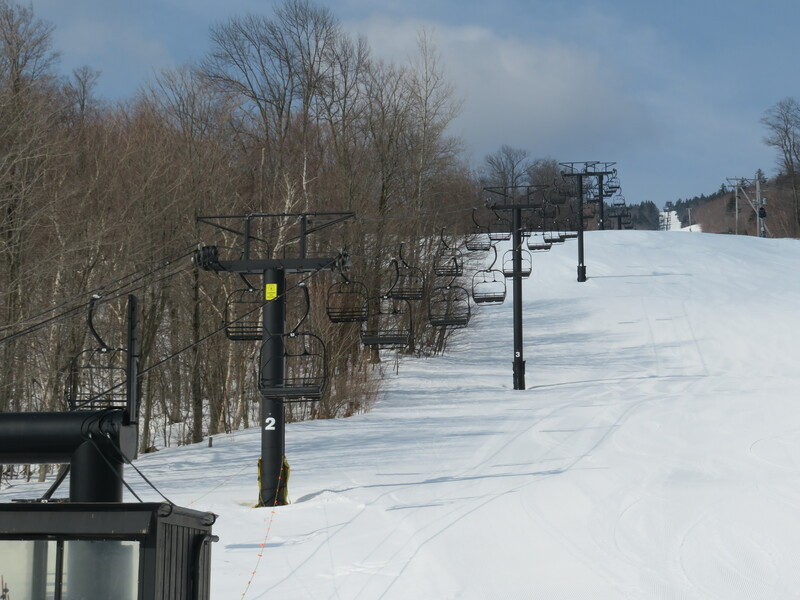 I doubt Peak Resorts will build a full length high speed quad with a mid station because the three detachables in the main base provide sufficient capacity for 90+% of days and the 10 or so days they don’t they’ll run Ego Alley and Sundance. This lift has 207 chairs.